Your apps might be begging for a boost in performance from flash storage, but you'll have to decide where exactly flash belongs, how much you'll need, and how flash should be used. Read on to hear from George Crump as he offers up critical advice on whether performance or function is most important when choosing all-flash storage arrays. 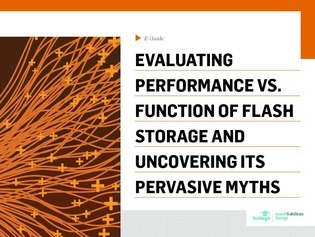 As a bonus, gain exclusive insight into the 5 pervasive flash-based storage myths.